Those missing images aren’t gone for good if you act quickly. What method should you use to make sure your iOS photos are backed up? iCloud storage isn’t expensive, especially compared to Apple’s competitors. If you use iCloud Photos (the new name for iCloud Photo Library), it’s easy to exceed the 5GB of free storage included with iCloud and then outstrip the 50GB ($1 a month)—and the 200 GB tier ($3 a month). For folks paying for iCloud storage, it might be tempting to cut out those recurring subscriptions and just store media locally—typically on a Mac. But take care in particular if you’re using iCloud Photos: Downgrading your storage plan doesn’t immediately delete photos and videos, but it does make some of them inaccessible. It’s not clear when (or if) Apple deletes the content you’ve uploaded in excess of a downgraded iCloud storage plan, but the company doesn’t promise to retain it indefinitely. If you find that, for instance, images are missing from an iOS Camera Roll after lowering your storage plan, the likely culprit is that combination. Warning: Please note steps 5 and 6 carefully below. Following step 6 will permanently delete all your images and videos in iCloud Photos. You must ensure you have everything downloaded and then perform a full backup in step 5, or you may wind up deleting up media you wanted to keep. Upgrade iCloud storage to the previous level. On a Mac or an iOS device with sufficient storage, enable full-resolution downloads. When downloads are complete or if you already had full-resolution downloads enabled, disable iCloud Photos on all your devices. 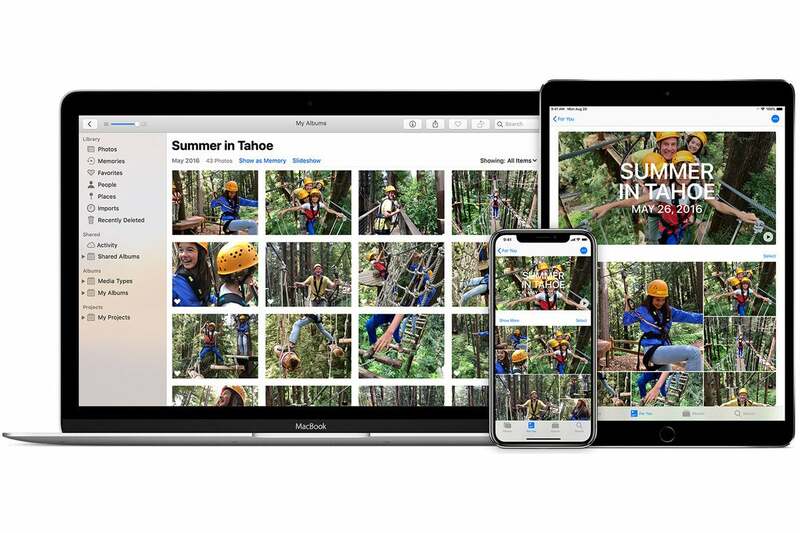 Use iTunes to manage photo backup and syncing, or iPhoto or Photos to import images from iOS devices to ensure you don’t run out of storage or lose them. Make sure you have a full backup of all your images. Delete all your media from iCloud Photos via the website. If you don’t your iCloud storage will remain overfull for other purposes. Apple doesn’t have a delete-all option, but in the Photos > Moments view on the website, view a moment, click the Share button (which selects all the images and videos), and click the trash can icon to delete. Repeat this for all moments. This Mac 911 article is in response to a question submitted by Macworld reader Hunter.